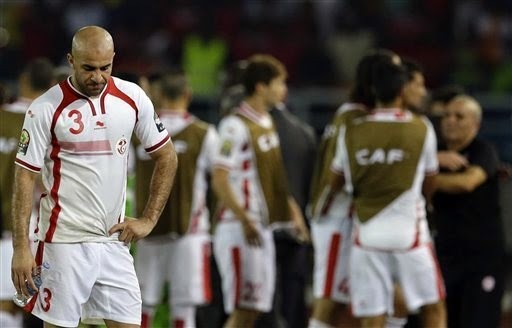 The head of the Tunisia Football Federation quit as a member of the African Cup's organizing committee on Sunday in the wake of his country's contentious quarterfinal loss to host Equatorial Guinea, which sparked ugly on-field clashes involving players and coaches. The Tunisian federation said in a brief statement that FTF President Wadie Jary had handed in his resignation having been a member of the tournament committee since May 2013. The federation didn't give a reason, but Jary quit a day after Tunisia was eliminated by Equatorial Guinea at the African Cup after a hotly disputed refereeing decision turned the game. It left Tunisian players and coach Georges Leekens furious. awarded the home team a highly questionable penalty in the last minute of normal time in Saturday's quarterfinal. Equatorial Guinea equalized from the spot-kick and went on to win 2-1 in extra time to reach the semis for the first time. Seechurn's decision sparked the ugly scenes as players and coaching staff members brawled on the sidelines on a number of occasions and threw water bottles at each other. Tunisian players attacked the referee at the end of the game and had to be beaten back by riot police in the chaos at Bata Stadium. 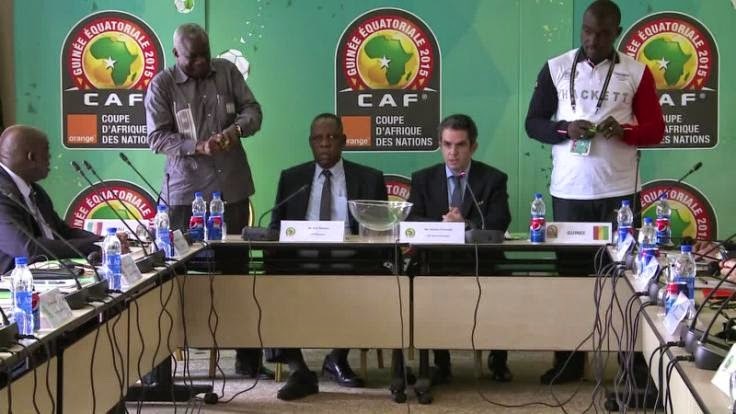 The Confederation of African Football didn't immediately respond to questions Sunday over whether it would begin disciplinary proceedings against those involved in the chaos on Saturday night. A number of Tunisian players could face lengthy bans after they chased Seechurn across the field after the final whistle, aiming punches and kicks at him as he scurried to safety with the help of riot police. Substitute players and coaching staff also fought near the dugouts, both during and after the game, while head coaches Leekens and Equatorial Guinea's Esteban Becker angrily confronted each other. Leekens suggested the referee might have wanted the home team to win, calling the penalty decision "forced." It was a complaint repeated by some Tunisian players. 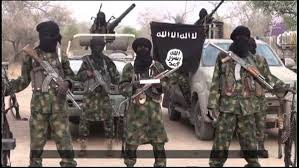 "The last thing you can call this is a football match," Tunisia defender Mohamed Ali Yakoubi said. "We felt they wanted us to lose by force. The penalty wasn't justified and came at a crucial time ... It wasn't fair what he (the referee) did." When asked if he felt the referee's decision was "premeditated," an angry Leekens told reporters to look for themselves at the television replays. The decision was clearly wrong by Seechurn and the tackle on Equatorial Guinea's Ivan Bolado in the 90th minute was not a foul. Equatorial Guinea coach Becker shrugged off Tunisian complaints, saying refereeing decisions were "part of football." Ironically, Equatorial Guinea's football federation made an official protest to organizers CAF after its first game of the tournament, when a refereeing error denied the home team a legitimate goal. The Equatorial Guinea federation said then that it was the victim of a "conspiracy" and warned CAF to "stop this behavior by referees."